For Trina Mendria, high-index plastic lenses simply make sense – both from a business standpoint and with regard to the benefits they bring her clients. For Michelle Skinner, optician and owner at Cowan Optical in St. John’s, the situation is much different. So which shop has it right? How much should your eyeglass dispensary use high-index plastic? The answer is simple: both shops have it right because they have based their recommendations of the material on the needs of their patients/clients. Unlike other premium lens products, which have always had a more defined role in the eyecare professional’s toolkit, dispensing high-index plastic lenses has changed significantly in recent years due to changes in the product category. The category of high-index plastic – which is loosely defined as plastic lenses with indices of refraction of 1.54 or above (in other words, anything higher than CR-39) – has arguably seen more change than any other spectacle lens product over the past 20 years. In the late 1990s and early 2000s, lens manufacturers began introducing more product options in the high-index arena, with the idea of making these lenses more durable and, in some cases, more affordable for eyeglass wearers. As a result, new products in the mid-index range (1.55 to 1.60) and, of course, Trivex® were introduced. While most of these products are still around, several mainstays have separated themselves from the herd: polycarbonate and Trivex for their impact resistance, and 1.60, 1.67 and 1.74 index plastics for their aesthetics. Historically, these latter products have been seen as options for patients with high-powered prescriptions because they are thin and lightweight. However, as Mendria notes, they have also become a go-to option for patients who want smaller frames. She finds that 1.60 index plastic lenses are perfect for semi-rimless and rimless frames because they are “more durable and won’t chip. When it comes to high-index, Skinner is pragmatic as well. 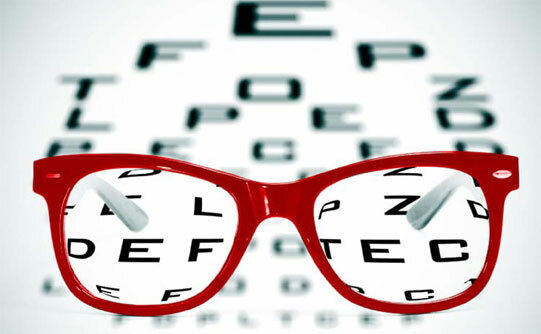 In her local area, she explains, “most of the high-minus, single-vision eyeglass wearers are getting LASIK.” As a result, most of her clientele, she says, are 45 to 50 years old and are entering or well into presbyopia. Given the advances in progressives with digital or free-form technology, she has been able to fit these patients in 1.67 index plastic lenses with excellent optics, compared to their older-line, high-index progressive lens predecessors. For patients with really high prescriptions, 1.74 index plastic free-form progressive lenses are also an option. Two different optical shops in two different communities: two different uses for high-index plastic lenses. Optical shops seem to have discovered how this important product fills the needs of both their businesses and their patients.